In this important book of essays, leading scholars explore the gamut of topics in criminal justice and criminology, examining both historical and contemporary material to illustrate the past and present of each topic covered. 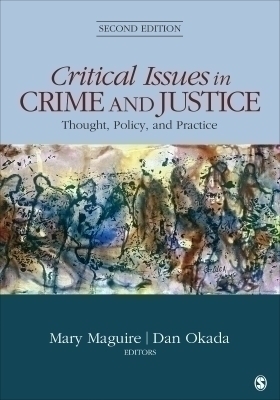 Drawing on a wide range of sources, Mary Maguire and Dan Okada illustrate the breadth of research, policy, and practice implications in key areas of the field, such as crime theory, law enforcement, jurisprudence, corrections, and criminal justice organization and management. . The coverage of concepts, insights, voices, and perspectives is geared toward students with a background in criminal justice or criminology courses to challenge them to synthesize what they have learned, to question standard interpretations, and to begin to create new directions and visions for their future careers as professionals in the field.